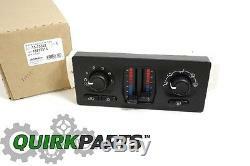 Air Conditioning Heater Dash Control Unit W/ Rear Defrost is a direct fit for the following. 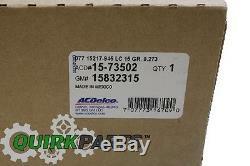 Genuine GM Part Number: 15832315. 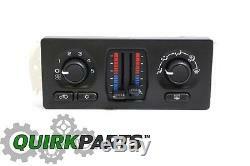 The item "05-07 GM Truck SUV Air Conditioning Heater Dash Control Unit With Rear Defrost OEM" is in sale since Friday, July 20, 2012. 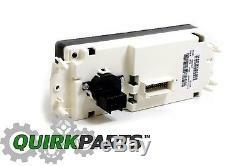 This item is in the category "eBay Motors\Parts & Accessories\Car & Truck Parts\Air Conditioning & Heat\A/C & Heater Controls". The seller is "quirkparts" and is located in Braintree, Massachusetts.